Living under tall pine trees as we do, there are not many sunny areas to grow the full sun plants. This is the main reason that I do not grow many vegetables. But, come autumn, that is the time to grow lettuce. I am able to grow this in containers on the back patio where there is ample sun even in winter. 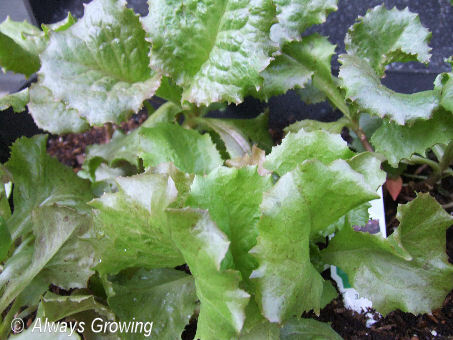 I grow the leaf type not the heading type of lettuce. Even in the cooler temperatures of autumn and winter, the head type doesn’t seem to do well this far south, I guess, because even in winter, we can have some hot spells. If I grow lettuce from seed, I plant Black Seeded Simpson and Green Ice, two variates that have done extremely well for me. It seems in hardly any time, I am harvesting lettuce leaves. This year, for the first time, I bought lettuce plants. I thought I’d try something different. I have planted Red Sails and Red Leaf. After taking out the grills, briquets, and tubing, it was perfect. At first, I thought I’d plant some herbs (now’s a little late for herbs, but next summer will be fine), but then after a little thought, lettuce seemed perfect. If I need to, I can roll the pit around to catch more sun. I think being high off the ground may help with bugs, too. 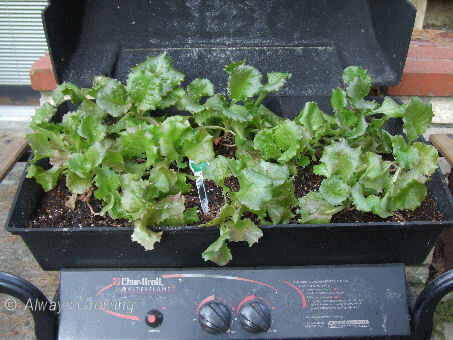 So, a lazy husband, who didn’t want to drag a barbeque pit to the curb, came up with a pretty good idea for a plant container for this year’s lettuce. The first of the true fall flowers have started showing up in our garden. 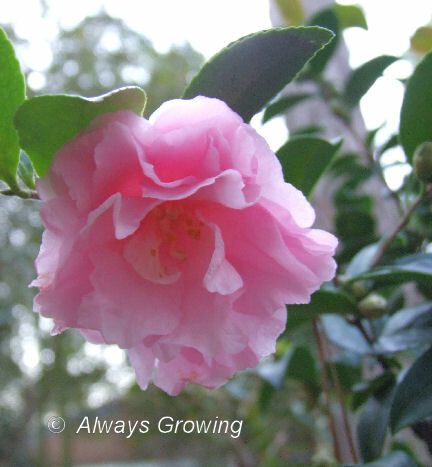 Down here where we get very little fall color from our trees, fall flowers are eagerly awaited, and now the sasanqua camellias have started blooming. This type of camellia is fairly new to us. I planted the first one only about three years ago. Now, I wish I would have put in more. The newest one is Cotton Candy which I bought just last year. It is a lovely pink. Another lovely sasanqua and the first I planted is Setsugekka. I noticed the first bloom on this one just yesterday as I was backing out of the driveway just before dawn and the headlights caught the first flower. 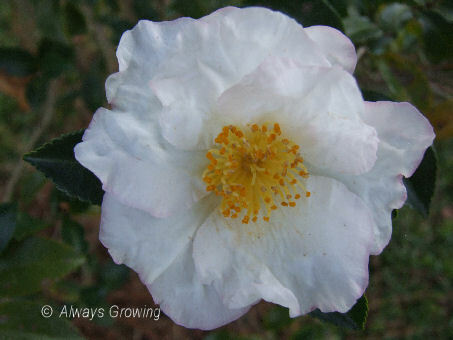 This sasanqus has a rather large white flower with a small pink edging. Now that we have had our first real cold weather of the season, I think more of our fall flowering plants will be showing off their colorful blooms, and I look forward to sharing them with you. With the garden winding down now that fall is here, there is the opportunity to study the remaining flowers that stand out because there is so little competition. One that caught my eye the other day was the Clemetis crispa flowers. Usually this vine doesn’t flower that much at this time of year, but I think that the cooler weather and moisture is encouraging it to make up for the paltry showing this summer. One thing I like about this flower is how different the bud and open flower is. The slim bud reminds me of a chandelier drop. 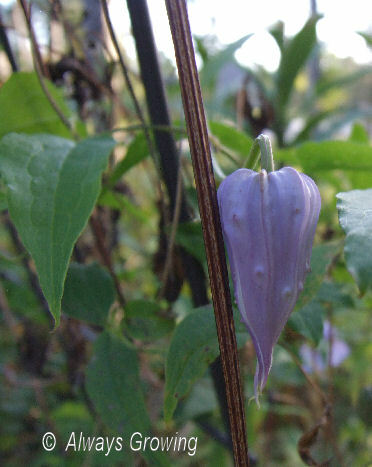 The open flower is bell-shaped with curly edges. It reminds me of a little hat. Maybe something a fairy would wear in the garden. 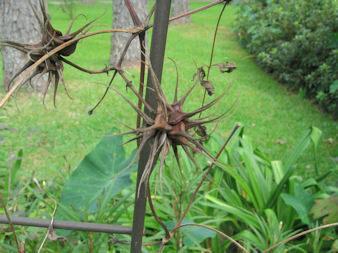 The seed heads of clematis vines can be very interesting. This seed head in particular seems very appropriate for this time of year – Halloween. The different each stages of this little flower amazes me. It is nice to be able to take the time to carefully look at individual plants and flowers and to see the change from bud to flower to seed. I used to sew a lot. In fact, I used to sew all my clothes. I gradually stopped because I could not buy the fabric I wanted. It seemed that the fabric stores carried mostly home decorator fabrics or fabrics that were not suitable for adult tailored clothing. So, gradually, I stopped sewing. It seems like the same thing is starting to happen with gardening. I can’t buy the plants I want. My sister and I went on one of our garden field trips this past Saturday. We visited several nurseries (twenty-five miles from where I live) looking for fall bedding plants. I had no intention of buying as many as she was, but I was looking for dark orange pansies and maybe a few violas, pansies, or petunias to put in large containers for spots of color. I particularly wanted the orange pansies for Halloween and Thanksgiving containers. 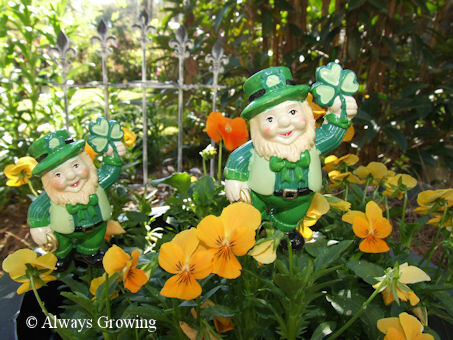 They also can be wintered over for the “pot of gold” for St. Patrick’s day as I did last year. Of course, these were not to be found. Most nurseries had fall bedding plants (not a big selection) but they were all in four inch pots. This early in the fall this far South, six packs can be planted and are more economical, but we have noticed that it is becoming harder to find the six packs be it early fall or early spring. When a four inch pot is $1.25 and a six pack is $1.58 the choice is evident especially if there is a large area to be planted. The next problem is the condition of the plants. Oh sure they look good – green, leafy, and flowering, but there are no roots. I checked one flat by gently tipping a small plant out to see the root system and there was none. No roots showing at all. Because they are fertilized by the grower so much, the plants only look good but are actually weak. This is why many die quickly, and money, time and effort is wasted. Also, several nurseries had not watered their plants yet, and even though it was only ten in the morning, some plants were already showing signs of wilting. Once a plant wilts, its roots are damaged. Only one nursery we visited had any six packs. My sister was able to buy her violas, dianthus, and other plants. I only purchased two six packs of ornamental cabbage and some red leaf lettuce. I am planting more perennials, so you would think this wouldn’t bother me, but for color you can’t beat the annuals. I do not want to plant the big swaths of annuals anymore, but I would like a few spots of color. I know that many businesses say that the economy is stopping people from buying, but I find it is often that businesses are not stocking what people want to buy. If the plant selections and size would have been what I was looking for, I would have spent the money. It turned out to be a rather frustrating day. I wonder if other areas of the country are experiencing the same thing. Are you finding the plants you want, in the size you want, and in a condition that indicates the plant will survive? I love gardening, I just hope it doesn’t end up like my sewing. A victim of not being able to find the right materials. Butterflies. Everyone wants them in the garden. Gardening practices and plant selection can ensure that they visit often. With the drought we had this summer, we did not have many flowers to attract the butterflies until a few weeks ago. Rain and cooler temperatures brought out the flowers on what can only be described as a butterfly magnet – lantana. This plants flowers attracts all butterflies, but the one that seems to be around the most is my personal favorite, the Gulf Fliterary. And flit, this little orange butterfly does. It quickly moves from flower to flower. It particularly loves lantana. In fact, I first planted lantana to attract these little guys. They like all lantana, but the Gold Mound I have planted in the circle garden seems to attract them the most. 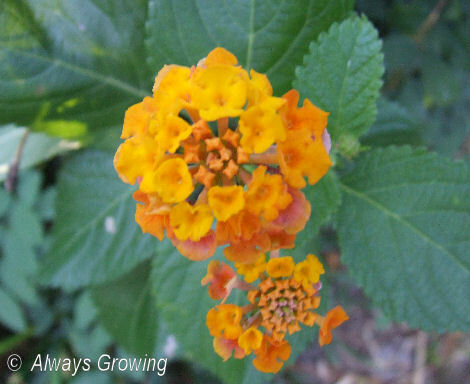 Lantana thrives in hot dry weather and will grow in poor soils as is shown by how readily the common orange one shows up all over. While many people dislike this one, I do have two volunteers growing in my garden. I keep them cut back (they do grow tall) and now that orange is a color I am starting to like more and more, they are fitting in well with a few orange flowering plants (canna and daylilies), and the butterflies do like the flowers. 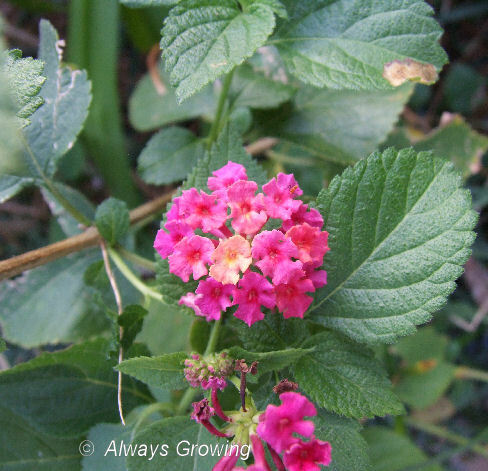 Another lantana growing in my garden is a raspberry-pink colored one. This one has been in my garden for ages, and unfortunately I don’t remember the name. 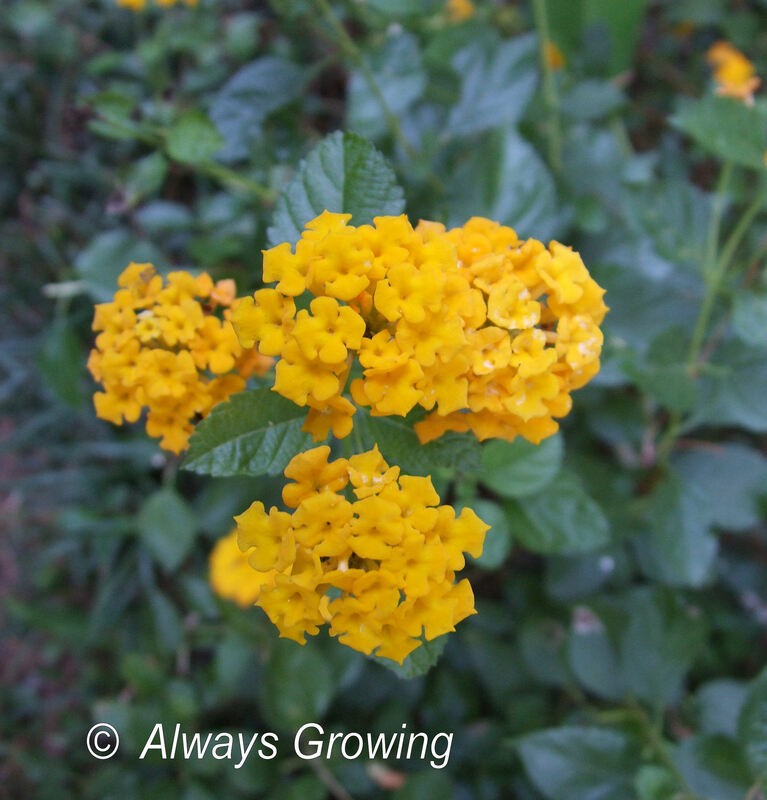 All of the lantanas are perennial here on the Gulf Coast. They lose their leaves in the cold weather, but they return every spring. This one, however, is the last to come back. I don’t know if that is because of its location, or it is a characteristic of this color. The pink is another one that can grow quite large. This I brought from my mother’s garden in the mid 70’s when I moved here. I believe this was the first lantana I noticed that was not the common old orange. 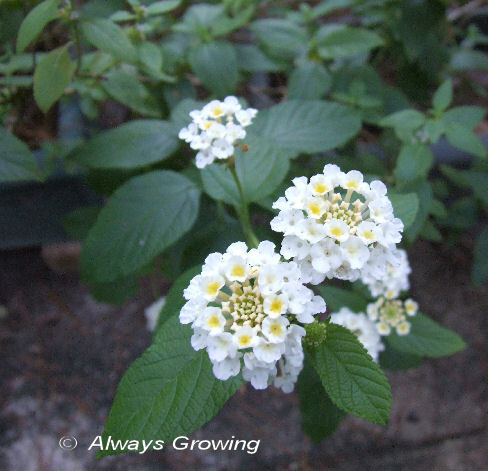 The last one to enter my garden was a white lantana I bought about two years ago. I have this growing in two large containers. 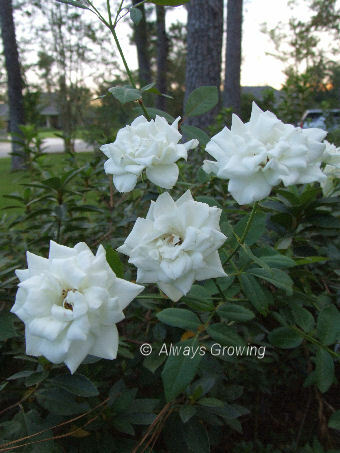 In the spring, when I transplant my Iceberg roses, I am going to plant these white lantana just in front of those three roses. I think they will cover up the bare area at the base of the roses quite well. Lantana does best in full sun, and mine are in raised beds which provides the good drainage they like. Older selections can get very tall (I keep mine trimmed back), but the newer selections stay under two feet tall. It is reported that with a good layer of mulch, these will survive in a zone 7. 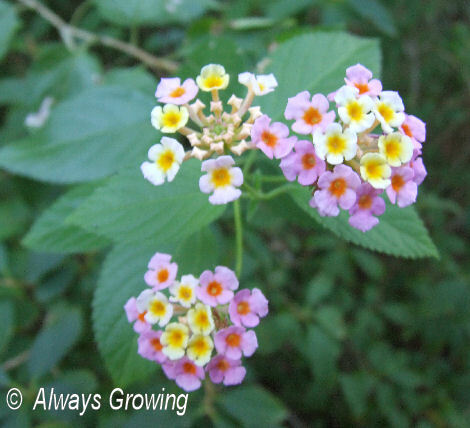 Here in the Deep South where we do not really have fall leaf color, lantana helps give late year color interest. You can’t beat a plant that blooms so profusely in hot weather from spring until frost and attracts butterflies like a magnet. Where did September go? I can hardly believe it is already October. Time may be flying by, but in one way it is a good thing. October ushers in our second gardening season here on the Gulf Coast. After blistering temperatures this summer, the cooler weather of October and November means the garden comes back to life. 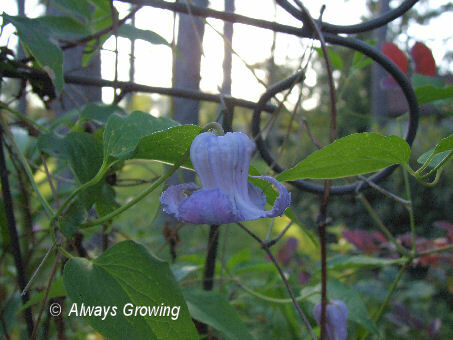 The recent rains along with those cooler temperatures have made so many plants happy. One of the nice things about October here is that we get another flush of blooms from the roses. 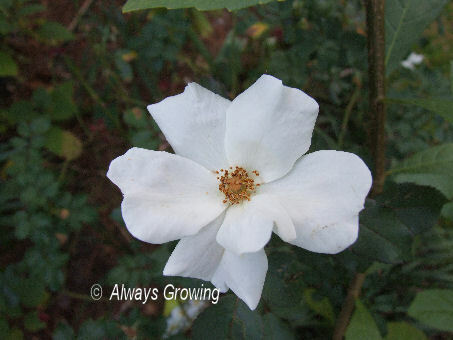 In early August, I trimmed back all the roses about a third in preparation for flowering about six weeks later. A little fertilizer helps, too. 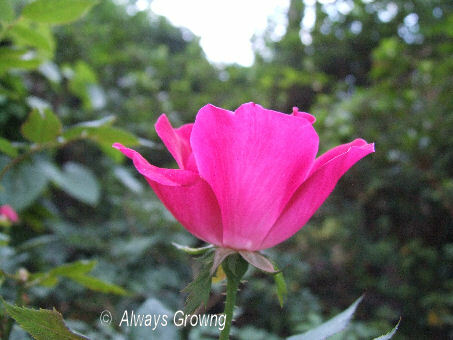 Now, that October is here, the roses are just starting to flower. In another week or so, they should be gorgeous, but right now, after a summer of hardly any flowers, even seeing only a few open is a treat. Showing their flowers are Knockout Red, Iceberg, The Fairy, and Whiteout. 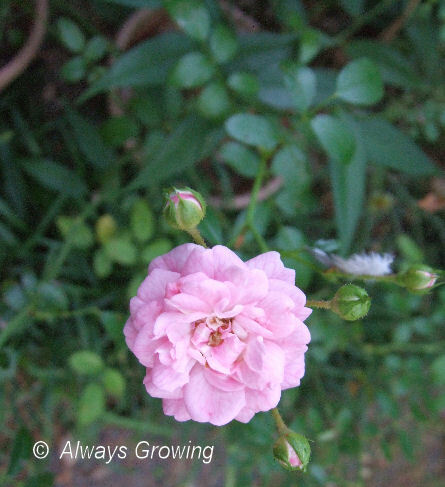 I didn’t realize how few flowers were around this summer until the roses started blooming. It shouldn’t be long before they are at their peak which makes me glad it is already October.